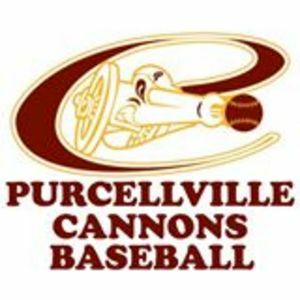 PURCELLVILLE, VIRGINIA-- Collegiate teammmates Tyler Ratliff and Matt Reed knocked RBI triples in a 5-run first inning to help anchor the Purcellville Cannons to an 8-5 victory over the Woodstock River Bandits on Friday night at Fireman's Field. Despite the early 5-0 advantage, Woodstock rallied back to tie the game with a solo home run by Nick Ward in the third and a grand slam bomb by Jacob Tisevich in the top of the fourth off Purcellville reliever Daniel Gooden. All-star hurler Tyler Yancey was given a spot start for the Cannons after left-hander Zach Sloan was scratched with stiffness in his throwing arm. Yancey, who made 12 relieve appearances prior to the start, allowed one run over three innings and didn't factor in the final decision. After the grand slam tied the ball game, the Cannons took the lead for good in the bottom of the frame on a 2-out RBI single by Raul Cabrera to score DeNathan Dukes. In the win, Cabrera went 3-5 with two RBIs, extending his hitting streak to nine games. The Cannons played add-on with a sacrifice fly by Ray Hernandez in the bottom of the eighth to score David Salguerio and give Purcellville an 8-5 lead. Hernandez leads the team with 20 RBI this summer. From the bullpen, University of Maryland product Andrew Green earned his first victory of the season, tossing 2 1/3 scoreless innings. After an inning of work by Billy Cox, closer Will Reed nailed down his fourth save of the season, getting Will Decker to ground out to Colton Lightner to end the game with two runners on base in the ninth inning. With the win, the Cannons (13-20) gained a half game on the New Market Rebels for the fourth and final playoff spot in the VBL North. Purcellville will travel to Front Royal to take on the Cardinals (16-17), a team they are 2-2 against this season. 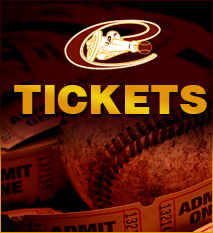 In their previous trip to Bing Crosby Stadium, the Cannons rallied late in a 5-4 victory on June 10th. After winning his debut last Saturday against the Covington Lumberjacks, Kevin Fuentes makes his second start of the year against a Cardinals team that has lost five of their last six contests. Right-hander Stephen Xirinachs gets the nod for Front Royal with a record of 4-2 and an ERA of 2.92 in seven starts this season. Xirinachs got the win in his lone outing against the Cannons on June 19th, tossing six innings of one-run ball in a 6-2 Front Royal victory. First pitch is scheduled for 7 pm.